Don’t wait until the New Year. Take yourself to the next level now. Push your limits at the Cascade Club Relaunch Activity! 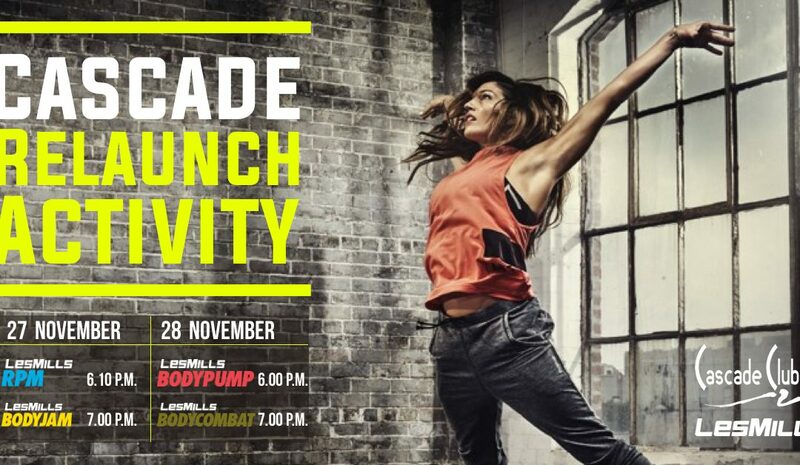 Here’s your chance to work out alongside fitness gurus to the world-renown Les Mills workout programs. Check out our detailed schedule below. Call: 02 676 6969 for more information. *9 spots available – first come, first served! *The usual BODYPUMP, BODYCOMBAT and RPM classes will be cancelled. Hatha Yoga class will be held as usual. *BOSU class will be cancelled. Fusion Yoga and Kettle Bell classes will be held as usual. Call 02 676 6969 for more information.